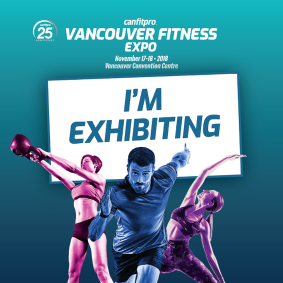 We Exhibited at Canfitpro’s Vancouver Fitness Expo – Tower Fitness Equipment Services Inc. The Canfitpro Vancouver Fitness Expo trade show took place November 17 and 18, 2018 at the Vancouver Convention Centre. Tower Fitness had a wide selection of commercial equipment in our booth, including the TRUE Alpine Runner with Ignite Console, the TRUE C900 Treadmill with Envision 16 console, the TRUE Traverse Lateral Trainer and TRUE Spectrum Variable Stride Elliptical both with Escalate 9 console, the TRUE Composite Full Body Press, the Paramount FuseXL Chest Press, the TRUE Force Bench, and a Cascade Air Bike Unlimited Mag. We also featured several products from UMAX including several styles of Olympic Bars, Bumper Plates, Grip Plates, Aerobic Bells, Beauty Bells, U2 Series Dumbbells, UMAX Series Premium Dumbbells, and Kettlebells!